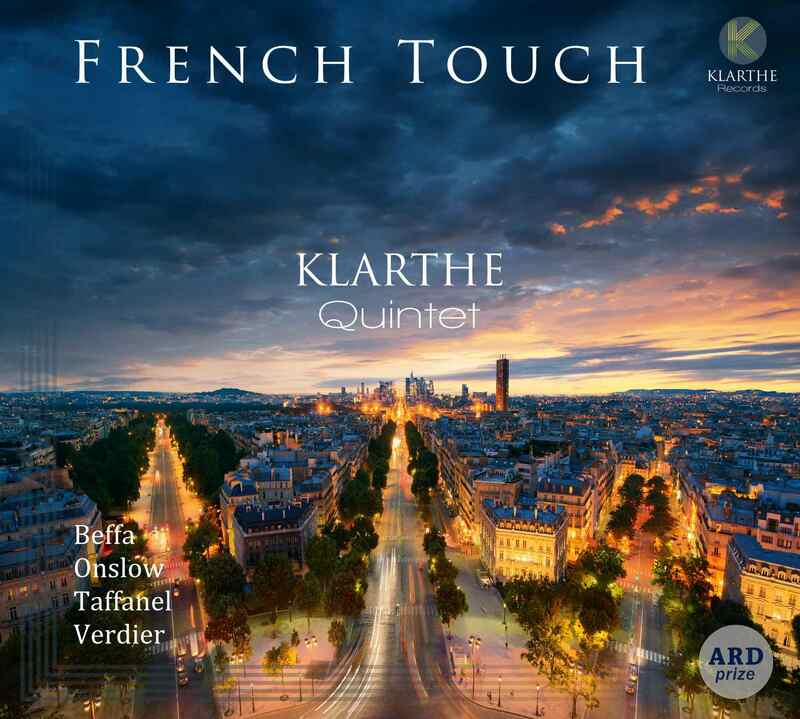 For their first disc, the Klarthe Quintet focus on french music and the parallels between two epochs : The end of the 19th century, with two major compositions from the wind quintet repertoire ; works by Paul Taffanel and George Onslow, perfect examples of the lyricism and phrasing that personify these instruments and this period in time. The 21st century, with two pieces commissioned for this recording which showcase the whole spectrum of rhythm, contrast and colours which a wind quintet can produce. The use of percussion instruments by the quintet themselves in Amazonian Dreams by Jean-François Verdier, paints the picture of a universe at once meditative, sometimes tribal, but most of all an invitation to travel and experience the original soundscapes created for this ensemble, whereas Five o'clock by Karol Beffa is based on a pulsing vein, motorized and almost mechanical, emphasizing the rhythmical element that is so typically 'clock'.